awarded the "Concours international de jeunes concertistes de Douai“ in France in 1995.
smooth instrumentalist," emphasizes the culture magazine, MIKADO (Hessischer Rundfunk). Since 2007 have been released 10 CD’s with Asja Valcic at ACT. Paier studied accordion, jazz and composition at Klagenfurt conservatory. Paier has been particularly inspired by such instrumentalists as Keith Jarrett, Bill Evans, Charles Mingus or Thelonious Monk. For him, their conception of jazz, with its wide diversity of musical possibilities and freedoms, was of inestimable importance. In addition to the historically evolved European harmonies involving the accordion, the classical component has also assumed an unmistakable position in Paier's compositions. He himself aims to express a positively charged polarity in music: attraction and rejection, weight and lightness, loudness and quietness, openness and self-containment, strict discipline and passionate explosiveness. He accomplishes this feat again and again in an inimitable manner, enthralling his audience in concert tours in Israel, France, Italy, Sweden, Poland and many other European countries. 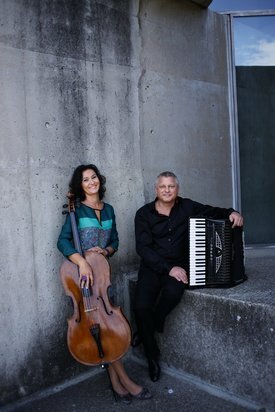 Be it as a soloist, with his duo partner Gerald Preinfalk, in the trio with Stefan Gfrerrer and Roman Werni, or the radio.string.quartet.vienna – Klaus Paier ranks among the great European accordionists with a world-wide reputation.